Apple Aggressively Getting Rid Of The Baggage As Another One Bites The Dust. Sounds to me like some head honchos became complacent without Steve Jobs around to keep them in line. Well – surprise! He left the right people in charge who are not afraid to delete anyone who can’t assume responsibility for and professionalism in their work at Apple Inc. There must be a lot of feathers flying behind the walls of the Cupertino based office. First Scott Forstall and now this. 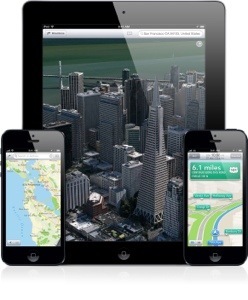 Apple Inc. has fired the manager responsible for its troubled mapping software, seeking to win back the trust of users disappointed after the program debuted in September, according to people familiar with the move. I tried to find a picture of the dude but a bishop keeps popping up over at Google images. Don’t think that’s him. In light of all this firing and rehiring, Apple has now entered a major transitional phase – the post-Steve Jobs era and the beginning of the Tim Cook era. And, like it or not, he is making his mark. I like this man – he is classy, yet shrewd and not afraid to implement monumental changes to the Apple Ecosystem.